HYDERABAD: Hindu community of Hyderabad is celebrating the religious and colourful festival of Holi for two days with religious and traditional fervour. 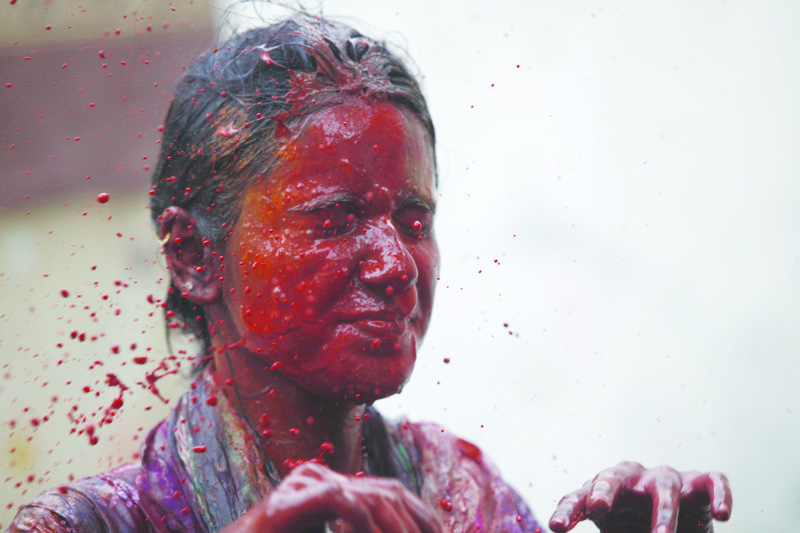 To celebrate the festival, a special prayer and Holi procession are being held in temples across the province. Talking to APP on Wednesday, a member of the Hindu Panchayet Association, M Parkash, said that the provincial government had provided maximum facilities to all minorities, adding that it also planned to restore almost all the religious sites in the country. Liaquat Medical University of Medical & Health Sciences Vice Chancellor Professor Bikha Ram Devrajani said that the Hindu community played a vital role in the prosperity of Pakistan. Professor Devrajani strongly criticised the extremism and terrorism, terming it against the code of conduct of any religion. Development, Awareness and Management of Natural Resources’ (DAMAN) Programme Manager Krishna Kumari also underlined the need of forging unity irrespective of religion, creed and caste and joint struggle with hardworking, sincerity and honesty for the progress and development of the country. A devotee, Shanti Maheshwari, who has been visiting the Shri Lakshmi Narayan temple every year since her childhood, said that “they feel happy to celebrate Holi freely in Pakistan and never felt like a minority in the country”.